Is the iPad Mini Worth Buying? Apple has unveiled a new member of the family: the iPad Mini. This device is a clear response to the market pressure the cheaper Amazon Kindle Fire HD and the Nexus 7 have placed on the existing iPad. So how does this scaled down version of the iPad compare with its newly refreshed big brother and the Android tablets that still come in at a lower price? Screen Size: iPad Mini’s screen comes in at 7.9 inches, compared to the 9.7 inch screen of the iPad and the 7 inch screens of the Kindle Fire HD and the Nexus 7. With a narrower bezel, iPad Mini fits a bit more screen into the same real estate. Resolution: 1024×768 — this is not the Retina display that Apple touts as its high end screens on the iPhone 5 and the bigger iPad. Rather, it’s the same resolution as the iPad 2, but with more pixels per inch. Also, the Nexus 7 and Kindle Fire HD have higher resolution 1280×800 screens. Thickness: 7.2mm thick — that’s roughly 1/3 of an inch, or a little thinner than a pencil, and significantly thinner than either of the leading competitors. Weight: .68 pounds, 53% lighter than the fourth-generation iPad. Competing Android tablets weigh slightly more: Nexus 7 tips the scales at .75 lbs, and the Kindle Fire HD at .88 lbs. Processor: The dual core A5 chip is same as the iPad 2 that came out in 2011, and even Apple says the A6 chip in the iPad 4 and the iPhone 5 is twice as fast for some tasks as the A5. The Nexus 7 has a newer quad-core NVIDIA Tegra 3 processor and the Kindle Fire HD has a 1.2 GHz Dual Core processor, but you can only compare the performance of these processors against the iPad once you benchmark them in the real world; the numbers and specs don’t tell you everything. But I’d give the edge to the Nexus 7 purely on hardware. Cameras: iPad Mini: front and rear-facing cameras. The camera on the back is a 5 megapixel, same as the iPad 4 but lower res than the iPhone 5’s 8 MP camera. The Nexus and Amazon tablets have only front facing cameras that are lower resolution than the Mini. The Mini will come in a Wifi-only model and an LTE version with access to cellular networks on the go. It will use the new smaller lightning connector so you’ll need all new charging cords and adapters if you have lots of accessories with the previous 30-pin connector. Apple says it gets 10 hours of battery life, is made primarily of aluminum & glass, and it comes in both black and white. It will be available for preorder on Friday, October 26 and is set to ship November 2. Nexus 7 16GB: $249 — But rumors are flying of an even cheaper Nexus tablet releasing next week and/or a big price cut on the Google tablet in time for the holidays. Nothing about the technical specs of the tablets makes any one of them a clear winner. Apple has an advantage in that the user-experience on the iPad and IOS is preferred by many, myself included. After living with both flavors, it’s just easier, cleaner, and less hassle for me to use an iPad over a Nexus 7. 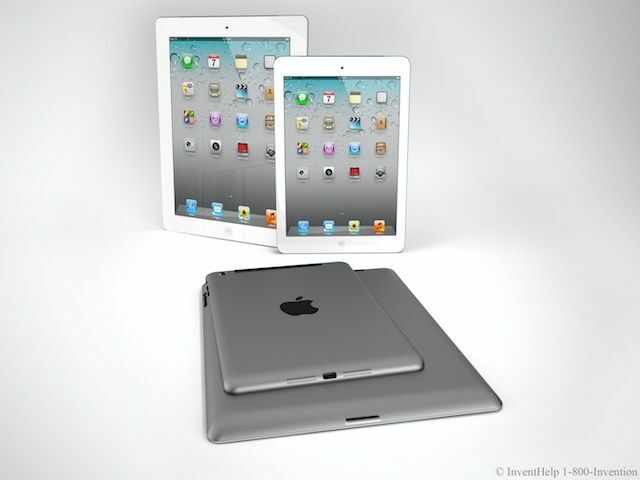 In my opinion, the iPad Mini will benefit from that advantage as well. But if I were a committed Android phone user, if my digital media was all purchased from Amazon or the Google Play store, or if price was my only consideration, I would NOT get the iPad Mini. The final decision these days is about ecosystem- where are you going to buy and live? In Google/Amazon world or in Apple world? If Apple had priced the mini in the $249 range, I’d say they would have nailed the coffin shut on competing tablets. But at $329 that’s still a steep price tag, and many will find Android and Amazon tablets under the Christmas tree this year and enjoy them almost as much as those who unwrap the iPad Mini that costs $130 more.